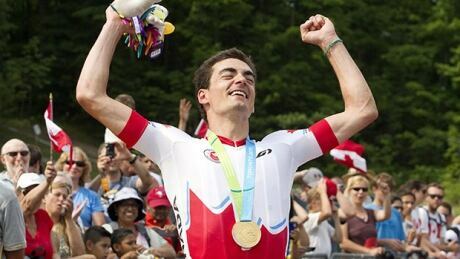 To have a pair of Canadian women win gold and silver in mountain bike racing at the Pan Am Games was a wonderful accomplishment, though not a shocker. But Raphael Gagne's victory in the men's race was a pleasant surprise and a good sign for the country's men's program. 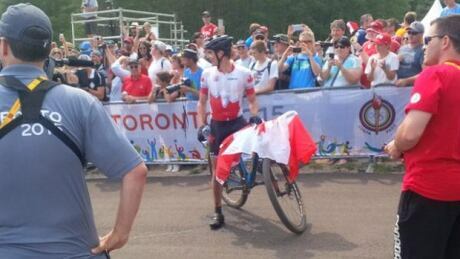 Raphael Gagne won the men's mountain bike gold medal at the Pan Am Games on Sunday. 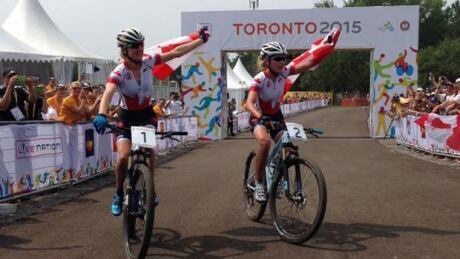 Emily Batty and Catharine Pendrel added two more medals to Canada's Pan Am Games haul on Sunday, winning gold and silver, respectively in women's mountain bike. You are currently browsing the archives for the Sports/PanAm (Actual)/Cycling-Mountain-Bike category.